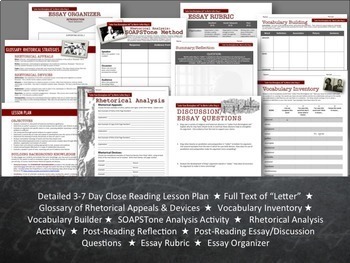 •	SOAPSTone Analysis Chart—SOAPSTone (an acronym for Speaker, Occasion, Audience, Purpose, Subject and Tone) is an analysis approach often used in AP and pre-AP classes to help students clarify and organize their ideas to prepare for any in-class discussions or writing tasks. 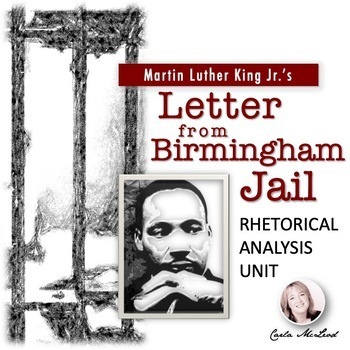 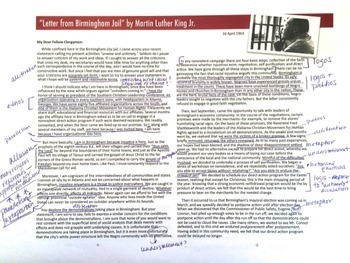 •	Rhetorical Analysis Handout—after closely reading and annotating the text, students cite the best examples of a variety of rhetorical appeals and devices. 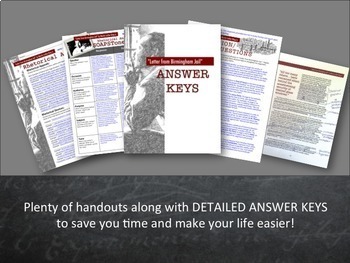 Great as an individual or group activity.